114-114 draw. DeLuca’s score did seem out of line. Guerrero, 33, is 33-5-1. Peralta, who will be 34 on Wednesday, is 26-2-1. Robert “The Ghost” Guerrero and David Peralta on Friday made weight for their welterweight main event Saturday at Honda Center (on Spike). Guerrero, of Gilroy, weighed 146.8 pounds. Peralta, of Argentina, came in at the 147-pound limit. Guerrero, 33, is 33-4-1 with 18 knockouts. Peralta, also 33, is 25-2-1 with 14 knockouts. David Peralta has 28 professional bouts, every one of them contested in his native Argentina. Not only has Peralta never fought in the U.S., he has never even boxed for a major title. All this would seem to make him a huge underdog for his fight Saturday against former world champion Robert “The Ghost” Guerrero (33-4-1, 18 KOs). They will square off in the welterweight main event at Honda Center in Anaheim (on Spike). At a workout Wednesday in Costa Mesa, Peralta (25-2-1, 14 KOs) spoke in confident tones about his big chance. “I’m physically and mentally prepared for this fight,” said Peralta, who, like Guerrero, is 33. 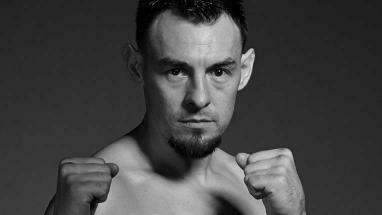 “Robert Guerrero is a great fighter and a great champion. I’ve seen everything he’s done and I think this is my time.